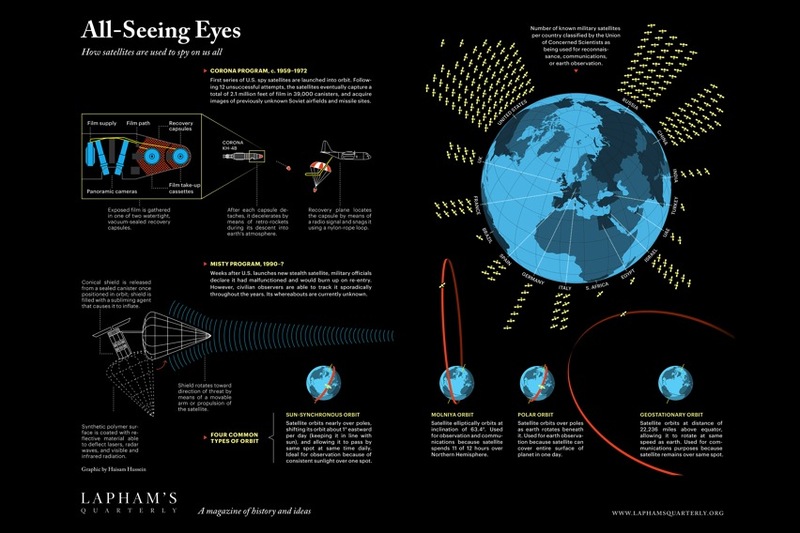 All-Seeing Eyes – How satellites are used to spy on us all #ArtTuesday « Adafruit Industries – Makers, hackers, artists, designers and engineers! Neat print from Lapham’s Quarterly. Pick one up here.